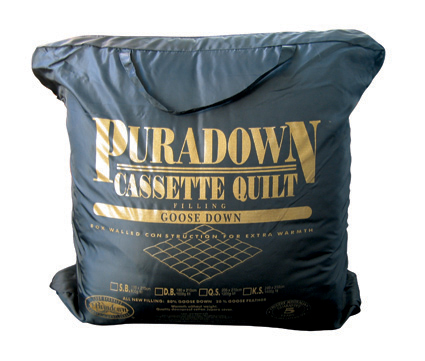 The quilts are filled with a mixture of quality Goose down and feather. Construction with a non adjustable cassette style or box wall. Featuring a series of individually filled squares, which maintain an even distribution of warmth. 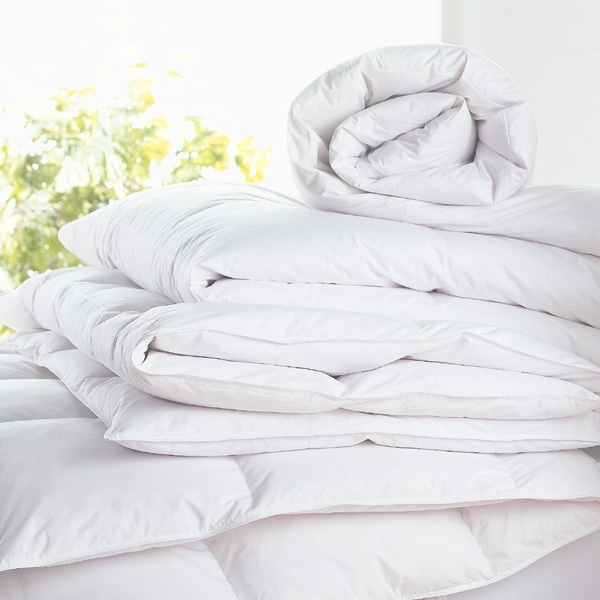 Down is the soft and fluffy clusters which grow under the outer layer of Geese and Ducks to protect them from the cold. 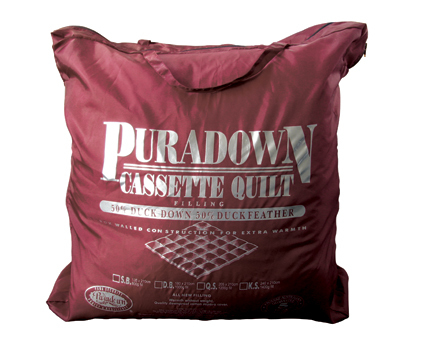 Down is lighter, and has better insulation capabilities than normal feather. 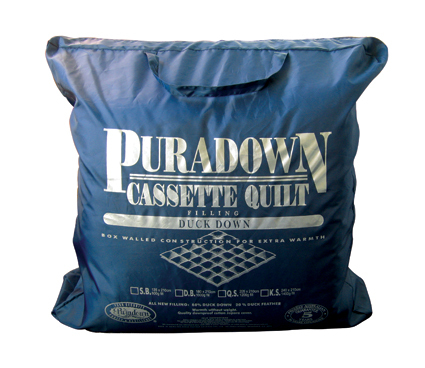 Greater down content corresponds to a better quilt for warmth and quality.